Marika Hackman has changed – or at least her music has – and she wants you to know that. The acoustic guitar-driven, metaphorical lyrics which she was known for are gone, and almost two years after the release of her debut album, We Slept at Last, Hackman returns bolder, more honest, and powerful than ever. 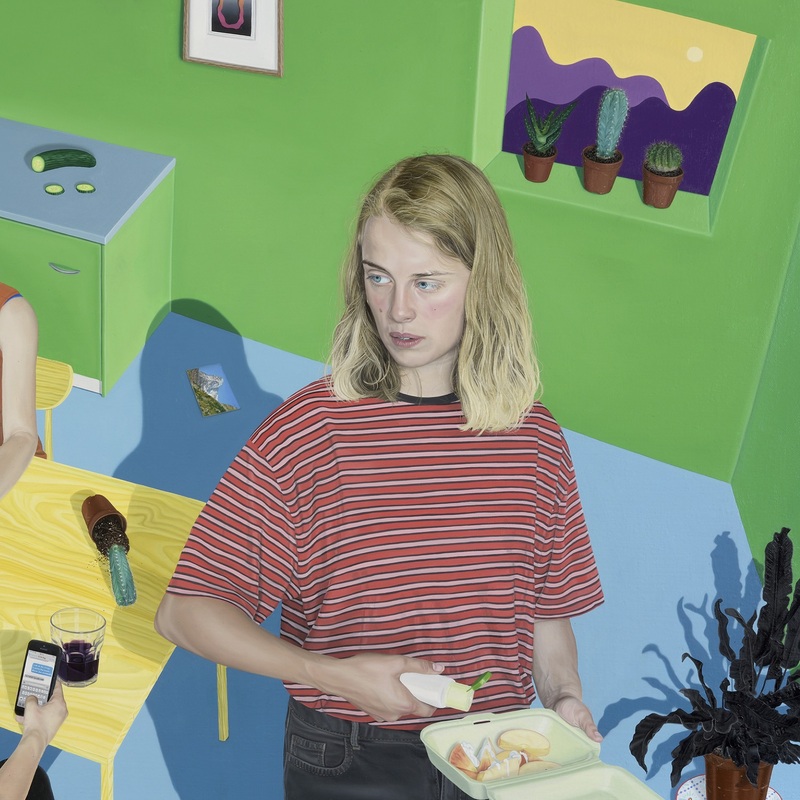 “Boyfriend,” the first single off her sophomore record I’m Not Your Man (set for release on June 2nd via AMF/Sub Pop), is an extremely timely, empowering song drenched in sarcasm and is representative of Marika Hackman’s change in direction. Hackman says, “’Boyfriend’ is payback for all those times I’ve been interrupted mid-snog by some seedy wanker asking to join in.” With her friends, the all-female London band The Big Moon, as her backing band, Hackman re-emerges with an instant anthem for queer relationships and women empowerment, tackling these issues head first while making you sway and sing along to her infectious melody. The opening line intrigues the listener, making us think she will sing about being in love with someone who is in a committed relationship. Marika clarifies this doubt on the second line: “I think he knows you stayed with me last night.” On the third line, Marika positions herself as more powerful than the boyfriend she is singing about, talking about how she “held his world” effortlessly in her hands, referring to his girlfriend who is also the object of her affection. Holding his world in her hands, she has the capacity to do whatever she wants with it, and so takes a chance by “[throwing] it all to see where it [will] land”. The guitar steps back and Marika’s voice, along with a strong bass line, pave the way to the chorus. She declares that the woman she is addressing in the song came to her for “entropy” – a steady descent into disorder – and hints at the irony that is to come in the chorus by saying that, since the boyfriend “makes a better man” than Marika, his girlfriend’s infidelity will not matter or insult his hubris. The chorus bursts with energy as Marika ironically admits that, in reality, her position as a woman does not make her important enough for her lover’s boyfriend to consider their affair cheating – if Marika was a man, however, that would not have been the case. She states “it doesn’t count” because “a woman needs a man to make her shout”, and, since women are not qualified or powerful enough to do that, their affair is disregarded as a fantasy. The irony with which Marika sings these lyrics prove that she her beliefs are, in fact, in direct opposition to the words that she is singing – by saying them out loud, however, she reclaims her power as a woman. She highlights this by following the chorus with small “oohs”, “aahs” – hinting that Marika, or any other woman, has the power to make a woman shout. On the second verse, Marika expands upon her relationship with her lover – what was described as mostly physical at the start of the song has now transformed into feelings, with her lover telling her she “love[s] [her] every time” they see each other. Just like in the first verse, Marika shows her position of power over the boyfriend when she says she “held his girl in [her] hands”, having a complete grip on something that theoretically is his and not hers. To make her power even more evident, she adds that her lover prefers her hands over a man’s since they’re “softer”. Next, Marika tackles how easy it is for society to dismiss a queer relationship, an issue she continues addressing on the next chorus. She indicates that they’re “meant to be”, but the fact that they are both girls has turned their relationship “into a mess” since “no one takes [them] seriously”. Society’s lack of acceptance of a homosexual relationship then makes it close to impossible for a relationship that is meant to be come to fruition – at least not on a public sphere. On the chorus, Marika continues to explore the different ways in which people tend to disregard queer relationships. She is “just a girl” and therefore their relationship is considered “just a dream”. This nods to the fact that, more often than not (and especially with lesbian relationships), people dismiss someone else’s homosexual relationship as experimentation, or just a phase, since they believe that the ideal relationship is not a homosexual one, but a heterosexual one. After ironically stating that “a woman really needs a man to make her scream”, Marika adds another layer to the “oohs” and “aahs” that happened after the first chorus – now, small screams by The Big Moon’s frontwoman Jules Jackson are also heard. The screams grow higher and more intense until Jules is heard saying “I can’t go any higher” in the background. This becomes concrete proof that a woman can, indeed, make another one “scream” – in fact, Jules did not only scream, she reached her limit, empowering women and proving this point even further. 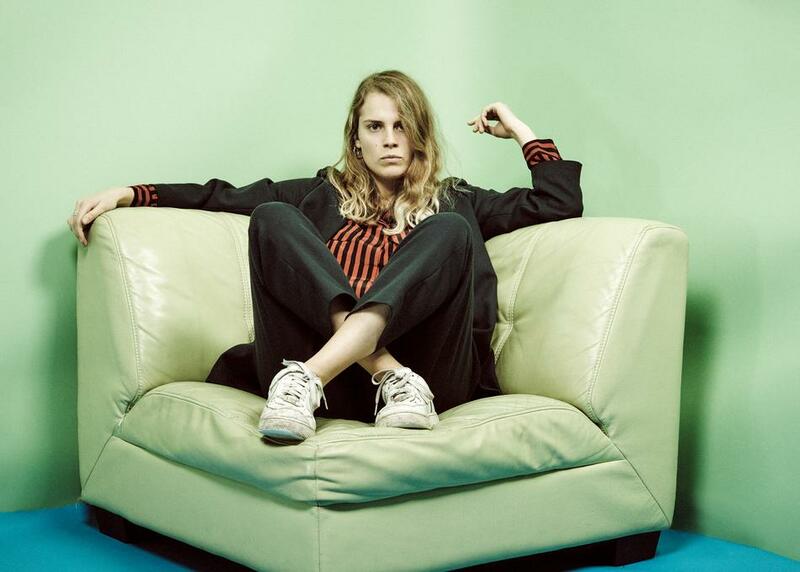 “Boyfriend” is a game-changer for Marika Hackman: It represents a new Marika. The girl who played her acoustic guitar for Burberry in 2012, hiding behind beautifully written lyrics infused with nature metaphors has left, and a bolder, more transparent, and ambitious Marika has now taken center stage. She is not hiding the meaning of her words anymore, and instead is fighting patriarchy on the front line. 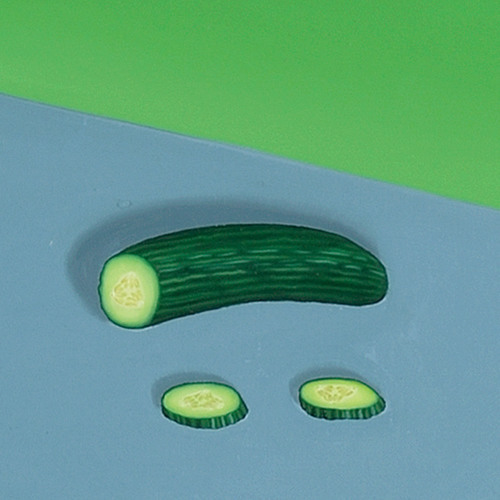 Everything about “Boyfriend” shows that she has a lot to say on the subject – from the single’s cover art (a sliced up cucumber) which shows the slicing of a phallic symbol, to the music video where a band of men pretend to play instruments at a show while she and The Big Moon play the track on the floor above, to the album title. “Boyfriend” serves as the perfect introduction to Marika’s fight and new musical persona, teasing what’s to come but also keeping us wondering what other tricks she’ll pull from her sleeve. The strong instrumentals, along with pointed lyrics and a subject matter that is extremely relevant to today’s society, makes this track and Marika Hackman’s highly anticipated comeback impossible to ignore.